Our brains are powerful tools. We are each entitled to our own personal world view. Unfortunately, when it comes to interpreting information and making objective sense of reality, human brains are hard-wired to make all kinds of mental mistakes that can impact our ability to make rational judgments. 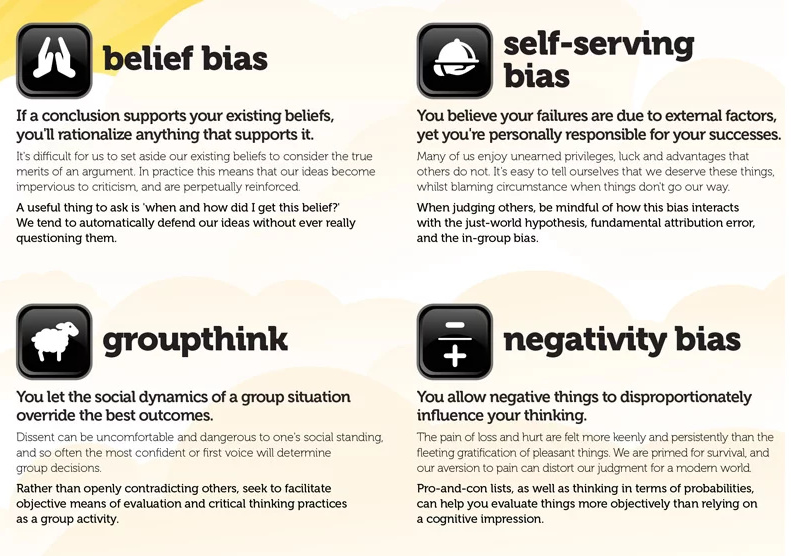 In total, there are 180+ cognitive biases that mess with how we process data, think critically, and perceive reality. There is no simple way to get around these basic human instincts, but one thing that we can do is understand the specific mistakes we make and why. 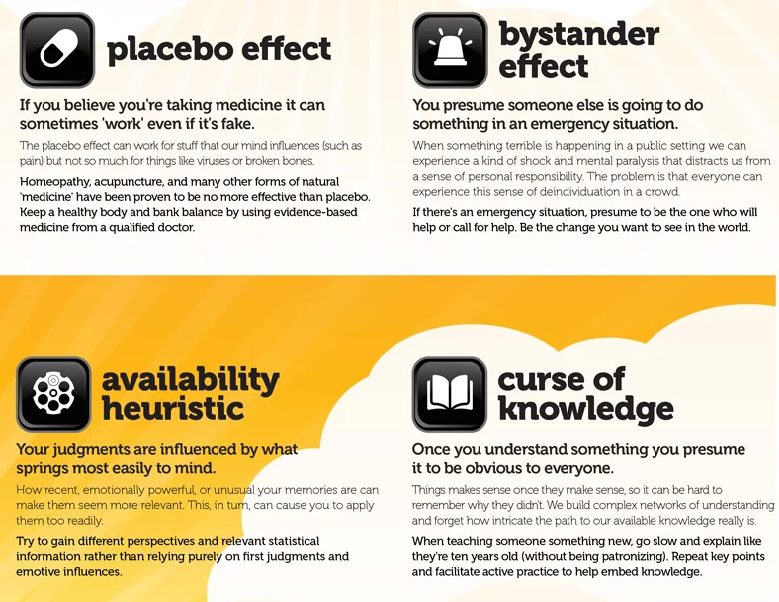 Today’s infographic comes to us from School of Thought, a non-profit dedicated to spreading critical thinking. 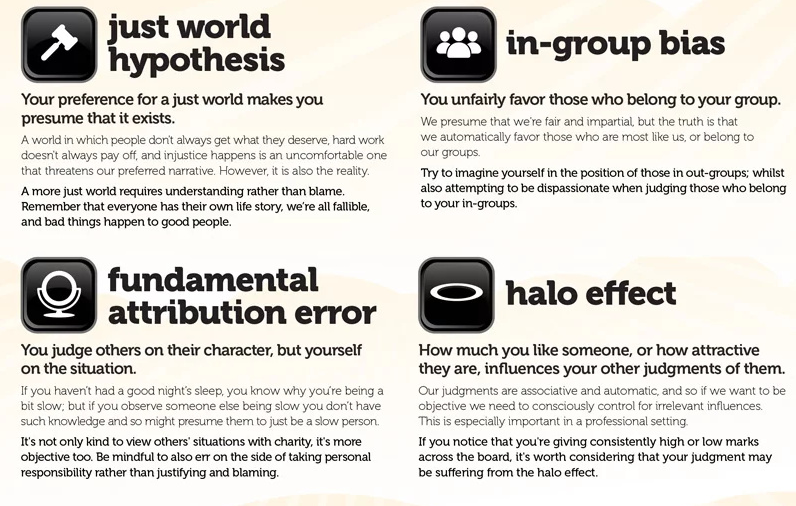 The graphic describes 24 of the key biases that warp our sense of reality, providing useful examples along the way. 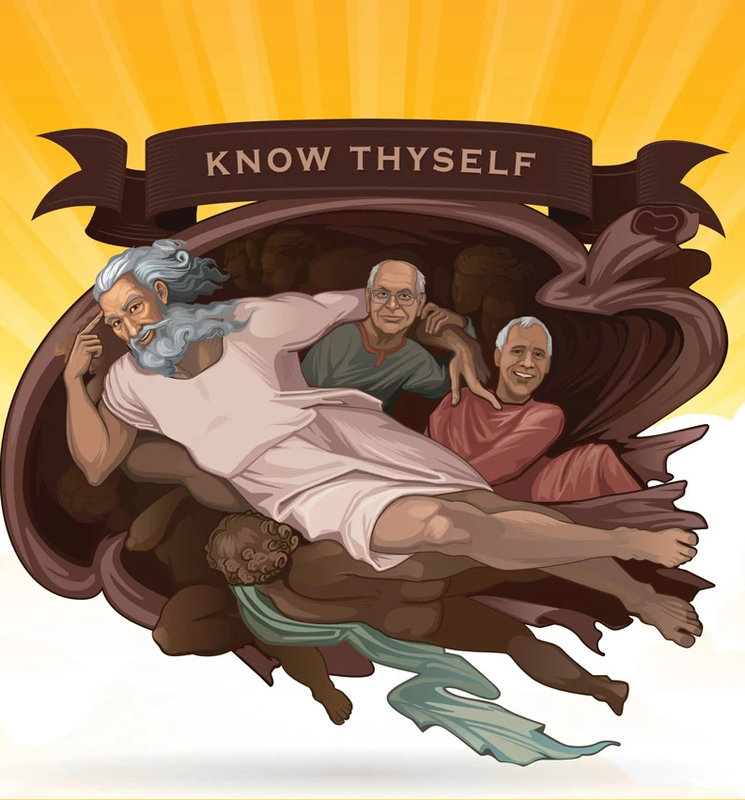 At the beginning of the infographic, you may have noticed illustrations of two gentlemen. In case you were wondering, those happen to represent Daniel Kahneman and Amos Tversky, two of the leading social scientists known for their contributions to this field. 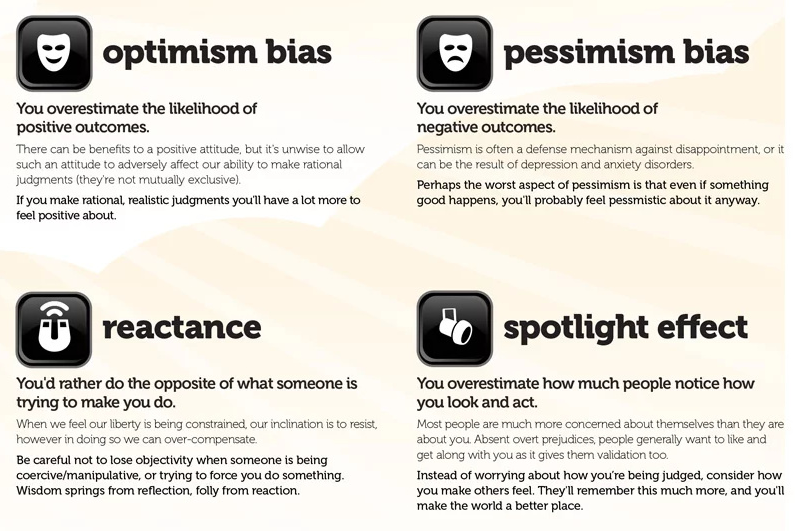 Not only did they pioneer work around cognitive biases starting in the late 1960s, but their partnership also resulted in a Nobel Prize in Economics in 2002. Your preference for a just world makes you presume that it exists. Of course, it’s uncomfortable to think that the world is unfair, but by understanding this you will make more accurate judgments about people and situations. If a conclusion supports your existing beliefs, you’ll rationalize anything that supports it. In other words, instead of willingly looking at new information, we are primed to defend our own ideas without actually questioning them. 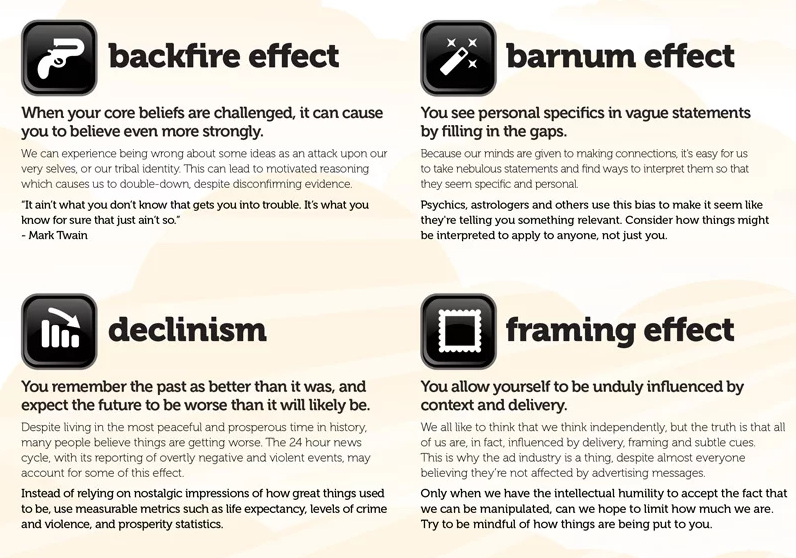 Context and delivery can have a big impact on how a story is interpreted. We must have the humility to recognize that we can be manipulated, and work to limit the effect that framing has on our critical thinking. 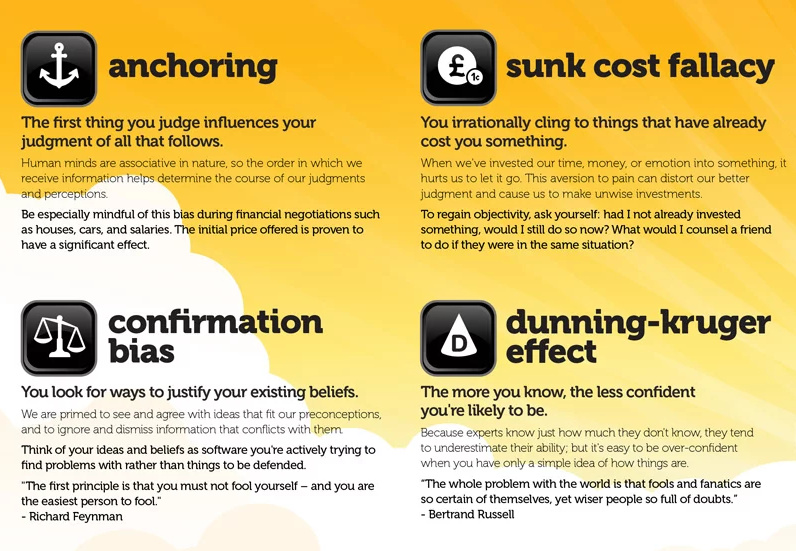 Want to see more on cognitive biases? Here are 188 of them in one infographic. This article was originally published by Visual Capitalist.